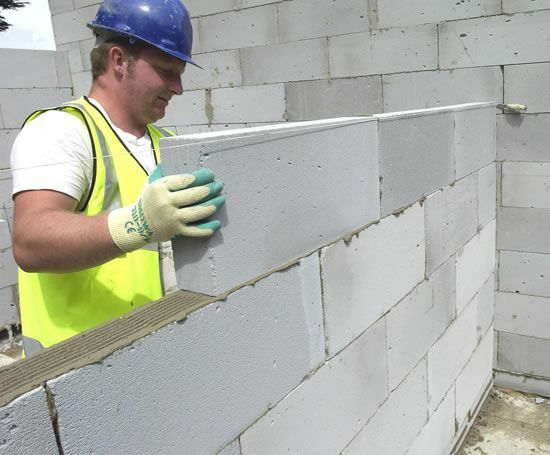 Celcon Higher Strength Grade aircrete is used principally where higher compressive strengths are required, such as foundations and lower storeys of three storey buildings, piers, under high vertical loads and multi-storey buildings. 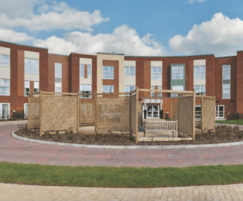 They can be used throughout a building, regardless of whether it is a cavity or solid wall; single or multi-storey build. 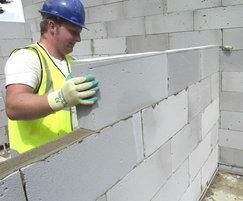 These blocks are ideal for separating and flanking walls as well as internal partition walls and foundations. 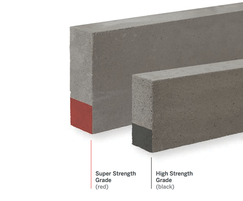 They are available in two compressive strengths: 7.3N/mm2 (High Strength - identified by a black stripe) and 8.7N/mm2 (Super Strength - identified by a red stripe). 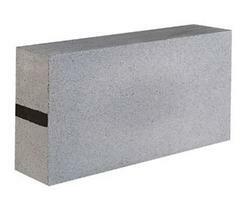 The blocks are fire resistant (100mm walls, up to 2 hours if load bearing, up to 4 hours if not Class [O/A1] surface spread of flame), achieving Part E of the Building Regulations, both (PCT and Robust Details).